Contemporary philosopher Don Ihde is a key thinker in the analysis of human-technology relations. He is indebted to Heidegger for much of his way of thinking, but he analyzes a wider range of technological relations. Indeed, his chief critique of Heidegger is that Ihde thinks there is no such thing as a “technological relation” as such – as Heidegger argued for in our last blog post – but only particular encounters with particular technologies. To this end, I offer below one example of Ihde’s method of doing a phenomenology of technology. Like Heidegger, Ihde is attempting to describe concrete human experience to arrive at the essential structure of the intentionality of consciousness. That is, he is not trying to reveal the object character of a technology, but the relationship that occurs between a technology and a person. Like Heidegger he is using a concrete example to reveal a paradigmatic intentionality and then formulating that as a concept, in this example, something he calls Hermeneutic Technics. Unlike Heidegger, Ihde does not claim that the hermeneutic character of technology-human relations is descriptive of all technological relations, but only certain kinds. Below is a text from his major work Technology and the Lifeworld. For my students, take note where he does concrete description, where he tries to formulate a concept, and where he maps out the relationality (i.e. intentional structure) of the experience. “[Using a hammer] displays an embodiment relation. Bodily action through [the hammer] occurs within the environment. But broken, missing, or malfunctioning, it ceases to be the means of praxis and becomes an obtruding object defeating the work project. Unfortunately, that negative derivation of objectness by Heidegger carries with it a block against understanding a second existential human-technology relation, the type of relation I shall term hermeneutic. The term hermeneutic has a long history. In its broadest and simplest sense it means “interpretation,” but in a more specialized sense it refers to textual interpretation and thus entails reading. I shall retain both these senses and take hermeneutic to mean a special interpretive action within the technological context. That kind of activity calls for special modes of action and perception, modes analogous to the reading process. . . . The movement from embodiment relations to hermeneutic ones can be very gradual, as in the history of writing, with little-noticed differentiations along the human-technology continuum. A series of wide-ranging variants upon readable technologies will establish the point. First, a fairly explicit example of a readable technology: Imagine sitting inside on a cold day. You look out the window and notice that the snow is blowing, but you are toasty warm in front of the fire. You can clearly “see” the cold in Merleau-Ponty’s pregnant sense of perception—but you do not actually feel it. Of course, you could, were you to go outside. You would then have a full face-to-face verification of what you had seen. But you might also see the thermometer nailed to the grape arbor post and read that it is 28°F. You would now “know” how cold it was, but you still would not feel it. To retain the full sense of an embodiment relation, there must also be retained some isomorphism with the felt sense of the cold—in this case, tactile—that one would get through face-to-face experience. One could invent such a technology; for example, some conductive material could be placed through the wall so that the negative “heat,” which is cold, could be felt by hand. But this is not what the thermometer does. Such constituted immediacy is not always available. For instance, although I have often enough lived in countries where Centigrade replaces Fahrenheit, I still must translate from my intuitive familiar language to the less familiar one in a deliberate and self-conscious hermeneutic act. Immediacy, however, is not the test for whether the relation is hermeneutic. A hermeneutic relation mimics sensory perception insofar as it is also a kind of seeing as; but it is a seeing, which has as its immediate perceptual focus seeing the thermometer. Now let us make the case more complex. 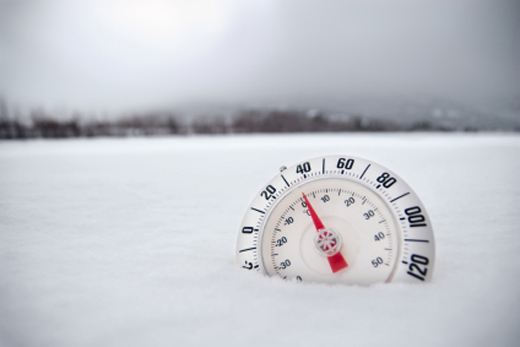 In the example cited, the experiencer had both embodiment (seeing the cold) and hermeneutic access to the phenomenon (reading the thermometer). Suppose the house were hermetically sealed, with no windows, and the only access to the weather were through the thermometer (and any other instruments we might include). The hermeneutic character of the relation becomes more obvious. I now clearly have to know how to read the instrumentation and from this reading knowledge get hold of the “world” being referred to. This example has taken actual shape in nuclear power plants. In the Three Mile Island incident, the nuclear power system was observed only through instrumentation. Part of the delay that caused a near meltdown was misreadings of the instruments. There was no face-to-face, independent access to the pile or to much of the machinery involved, nor could there be. The operator has instruments between him or her and the nuclear pile. But—and here an essential difference emerges between embodiment and hermeneutic relations—what is immediately perceived is the instrument panel itself. It becomes the object of my micro-perception, although in the special sense of a hermeneutic transparency, I read the pile through it. This situation calls for a different formalization: The parenthesis now indicates that the immediate perceptual focus of my experience is the control panel. I read through it, but this reading is now dependent upon the semi-opaque connection between the instruments and the referent object (the pile).